The Salzburg Easter Festival has just completed its 50th anniversary season (April 1-17) with opera and concert performances featuring Staatskapelle Dresden conducted by Christian Thielemann, as well as concerts by the Berlin Philharmonic and the Vienna Philharmonic. Founded in 1967 by conductor Herbert von Karajan who, after eight years as head of the Vienna State Opera (1956-64) had come to the conclusion that traditional opera houses were no longer able to produce quality work, the Salzburg Easter Festival was to be a stage for his own talents. He himself would direct, stage and conduct the productions. 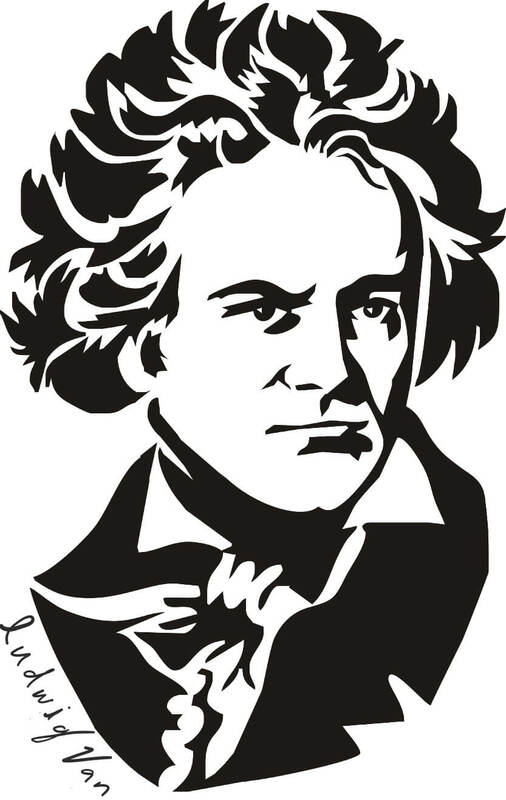 In the pit, he would have his own Berlin Philharmonic (BPO). 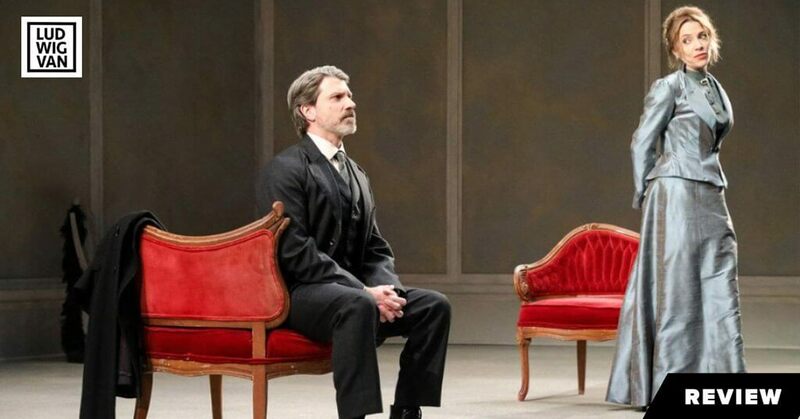 To help defray rehearsal costs, he arranged for Deutsche Grammophon to record each opera before the official opening and worked out an agreement with the Metropolitan Opera to program the Salzburg productions with his set designs, staging and himself as conductor. A breathtaking, if somewhat megalomaniacal concept. The Metropolitan Opera connection ultimately broke down — an unforeseen strike at the Met took care of that — but on the whole, Karajan’s vision produced spectacular results, and even after his death in 1989, the Salzburg Easter Festival continued to flourish. After Karajan’s death, the artistic directorship of the festival was given first to Sir Georg Solti and then to successive conductors of the BPO. In 2013, the orchestra decided it didn’t like the Salzburg arrangements and became involved with a festival in Baden-Baden. The Salzburg Easter Festival directors bid the BPO a fond farewell and welcomed in its place Staatskapelle Dresden and its chief conductor, Christian Thielemann. Patrons of the festival seem to have accepted the substitution without protest and performances continue to be sold out, despite the fact that the prices are some of the highest for festival fare anywhere in the world. Herbert von Karajan opened the Salzburg Easter Festival in 1967 with Wagner’s Die Walküre, stage design by Gunther Schneider-Siemssen. This year, to celebrate the festival’s 50th anniversary, Christian Thielemann opened the season with the same opera and a re-creation of Schneider-Siemssen’s highly abstract, innovative sets and projections. BRUCKNER: Symphony No. 6 in A major. Staatskapelle Dresden/Christian Thielemann. C major Blu-ray Disc 738304. Total Time: 63:00. 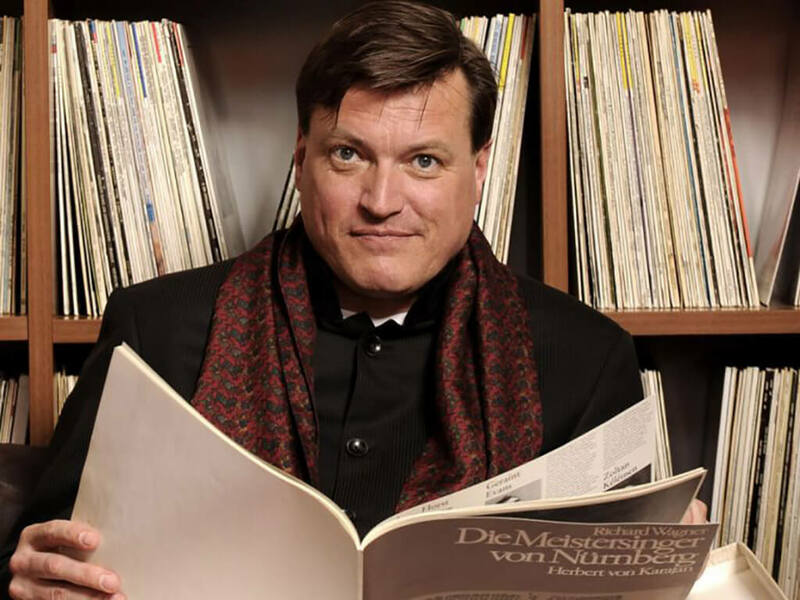 In addition to his posts in Dresden and Salzburg, Thielemann is music director of the Bayreuth Festival. 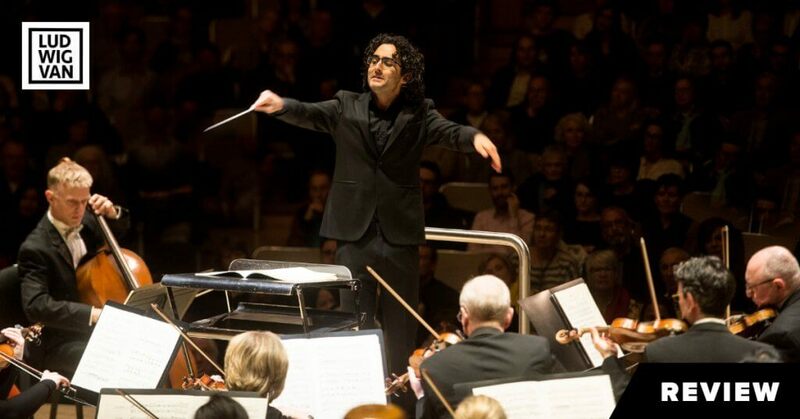 At 57, he is generally acknowledged to be one of the leading Wagner conductors of his generation. Not surprisingly, Thielemann is also widely considered ‘incomparable’ as a Bruckner conductor; Bruckner worshiped Wagner and his own symphonic music inhabits much the same sound world. 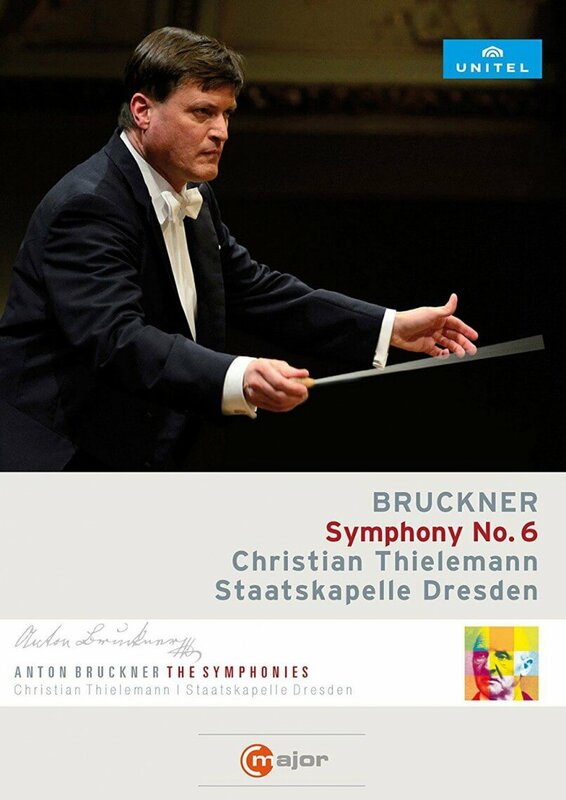 Currently, in the midst of a complete Bruckner symphony cycle on DVD for Unitel Classica/C major, Thielemann has to date recorded symphonies 4, 5, 6, 8 and 9 with Staatskapelle Dresden. Staatskapelle Dresden, one of the oldest and finest orchestras in Germany, is often compared to the Berlin Philharmonic. But the Dresden sound, as Thielemann has described it, is something unique: “it is typically soft and never brutal.” I often recalled this comment as I was listening to this new recording of the Sixth Symphony, which begins with a triplet figure played by the first and second violins. In this performance, the figure is almost inaudible even though it is marked pianissimo. Obviously, Bruckner had carefully calibrated the dynamics here. The main theme, played by cellos and basses and marked piano, begins in the third bar. This means that the main theme is to be played softly, but the opening triplet figure, which precedes it, must be even softer than that. Thielemann takes great care throughout the performance to realize these subtle distinctions in dynamics. At the other end of the spectrum, in the brassy climaxes that are so characteristic of Bruckner, especially at the ends of movements, Staatskapelle Dresden under Thielemann are never overpowering; rather, the brass is blended into the texture. The general effect is still massive and grand but never aggressive or in any sense militaristic. This video, directed by Henning Kasten, which coincidentally captures the beauty of the Semperoper Dresden, is exemplary in its fluid transitions from one musical event to another as the music unfolds. It also makes us aware — all too aware, perhaps — of the maestro’s peculiar conducting style. Thielemann holds the baton in a distinctive and idiosyncratic manner, with the round ball at the bottom end between his thumb and first finger, and his movements often seem stilted, even robotic, rather than fluid. At the other extreme from a conductor like Sir Simon Rattle who is far more animated in both his gestures and facial expressions, Thielemann’s face betrays little emotion or involvement. As always, however, great music-making is less about how one does it, than about the results achieved. And while Thielemann’s results may not be to everyone’s taste, he gets what he wants and what he wants is often uncommonly good. Given Thielemann’s authority as a Wagner conductor, his recent book on the subject — My Life with Wagner — makes interesting reading. It also offers lots of detail about his chosen path to a successful conducting career. Thielemann started as a rehearsal pianist in a provincial opera house and gradually made his way up the ladder to become a full-time conductor, just as Karajan and so many others had done before him. For more RECORD KEEPING, see HERE. 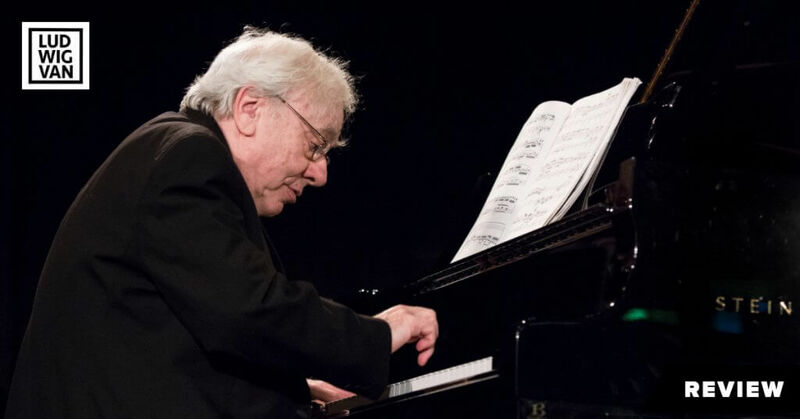 Over the course of his career, Paul Evans Robinson has acquired a formidable reputation as a broadcaster, author, conductor, and teacher. He has communicated the joy of music to more than a generation of musicians and music lovers in Canada and elsewhere.